No. 20 DePaul women’s basketball (3-0) passed their first big test of the season with flying colors as they took out the Northwestern Wildcats (3-1) 89-66. 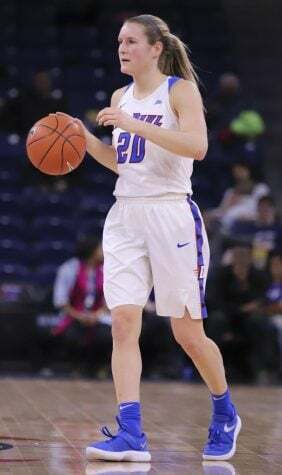 Senior guard Jessica January led the game with 25 points to give the Blue Demons the victory in the Chicago rivalry game, which Northwestern won last season in double overtime. Northwestern was missing first-team All American Nia Coffey, which had an impact on the game. However, DePaul head coach Doug Bruno said Northwestern was still very formidable. The first half was very up-tempo as the teams took turns with the lead. 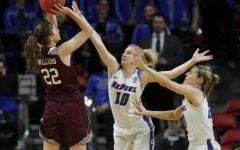 The Wildcats were shooting very well at 48 percent in the first half, while DePaul was in the mid-20s in shooting percentage until the end of the half. 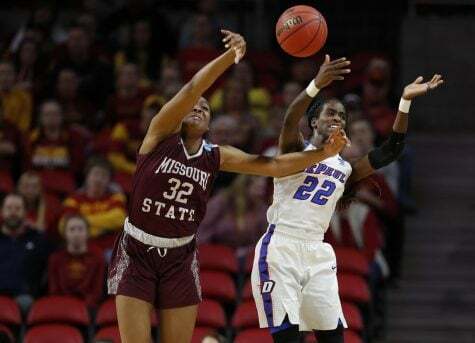 What kept the Blue Demons in the game was their offensive rebound advantage, where they held an 8-3 lead at the break. 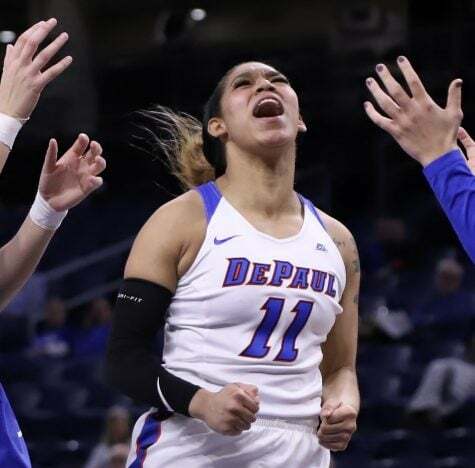 In the final minutes of the second quarter, DePaul went on a 13-1 run that quickly erased a small Wildcat lead and gave the Blue Demons a 38-30 lead at halftime. January was controlling the game with 12 points, three assists and four steals. The Blue Demons ended up with a 37 percent shooting rate at the end of the half, as well as a 21-17 rebound lead. 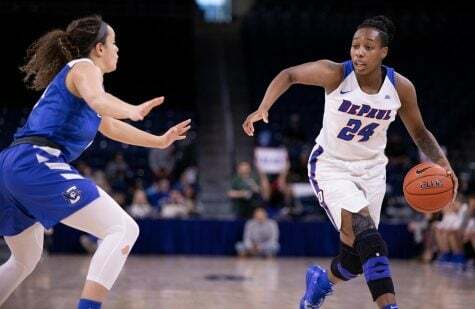 The third quarter saw the Blue Demons pull away further. 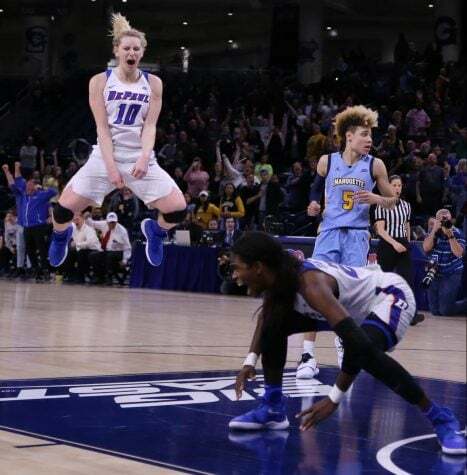 After an initial run that brought the Wildcats to within four, DePaul took the game back over and put an exclamation point on the quarter with a buzzer-beating three from January. The Blue Demons led 67-52 at the end of the third quarter. 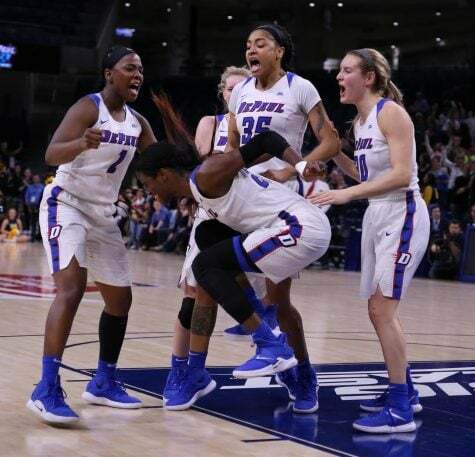 The Blue Demons went on another double-digit run in the fourth quarter that saw them extend their lead to thirty. 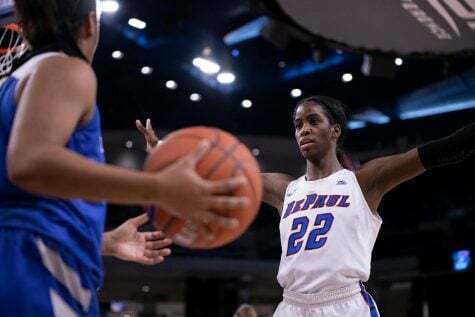 It was complete control for the Blue Demons as they finished with a 89-66 victory. 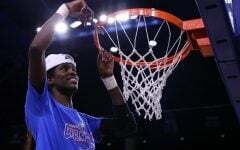 Bruno said that, even though the Blue Demons were in disarray in the first quarter, he was happy with the performance of January during that time. 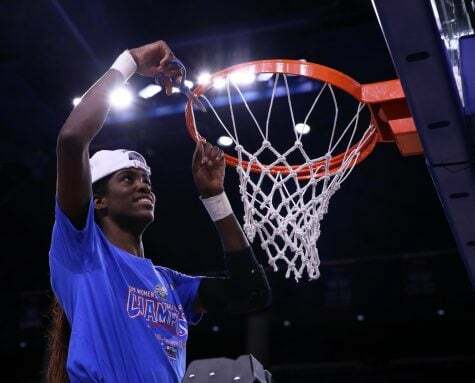 January gave the credit to her teammates, past and present, for her evolution as a leader. Next up for the Blue Demons is a trip to Florida, where they’ll participate in the Gulf Coast Showcase. 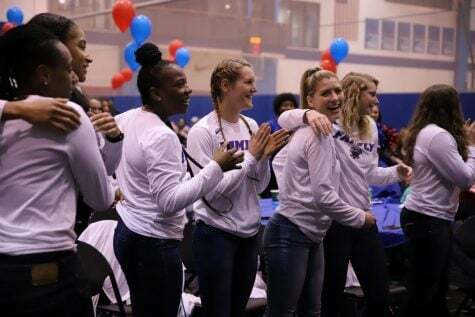 They’ll open up the tournament with Western Kentucky on Friday at 12:30 p.m, then will either play Kent State or Baylor on the next day. On Sunday they’ll play in the third round of the tournament against any possibly four teams.